This year May 27 and on March 11, 2011 Uranus will be on 0.0 degree Aries (Aries Point). On April 1, 1927 and on January 13, 1928 Uranus was on 0.0 degree Aries, too. And what happened? 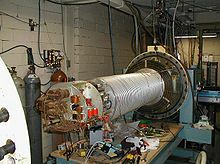 I checked the internet and found 3 important events having impact on life on earth today: the independence of Iraq and Saudi Arabia and the invention of the first (primitive) particle accelerator. And how about you? Uranus-Uranus aspects by transit or progression tend to accelerate YOU! The 1st automatic record changer was introduced by His Master’s Voice. That is all. On January 13m 1928 Uranus was on 0.0 degree Aries again. What happened in between? Chiang-Kai-shek started his counter revolution. Saudi Arabia became independent of Great Britain*) on May 20 (Treaty of Jedda; never knew that Saudi Arabia was once part of the British Empire). On July 14 in Hawaii there was the very first commercial airplane flight and six days later Lindbergh begon his NY flight. The first iron lung was installed on July 29 in NY. On November 12 Stalin became the undisputed dictator of the USSR (Trotsky was expelled from the Sovjet Union). Iraq became independent *)of the UK on December 14 and the first air conditioned office was opened in the USA. What do these facts tell us about Uranus at Aries Point, the starting point of the Zodiac? It seem that the introduction of Uranus in Aries is not very special for the entire world, at first. But, the final degrees of Pisces offered indepence to Iraq and Saudi Arabia and that was of importance to the inhabitans and to Great (but getting smallerJ) Britain. Now, with Uranus in the last decade of Pisces again, we see the impact of that event. So watch the news and look back after 82 years to see if anything happens now that will be important in 2092. “Auf den Färöern wird die sozialdemokratische Partei Javnaðarflokkurin („Gleichheitspartei“) gegründet. And didn’t the Swiss start an accelerator (CERN) lately? Sometimes it is easy to draw conclusions about a position in the sky and start associating. Uranus in Aries, what could it be? A fresh new start for astrology? Introduction of new techniques? An incident that awakens the world? And Uranus conjunct Jupiter, shouldn’t that be a sudden windfall for the world united? Looking back in history is sometimes like a cold shower, but it helps to see that relating events to positions is easier when you don’t use exact dates and positions. Or else I could refer to Uranus move to Aries as the prelude to disaster (October 1929, Wall street crash), caused by high expectations in the summer of 1929, but…Uranus had moved about 10 degrees into Aries by then. Or I could name the rise of the Nazi-party, but in 1928 (the period of Uranus at Zero Aries) the party had the lowest possible seats in parliament. The party started growing after the crash! My conclusion is that the impact of inventions or independence of nations in the period of Uranus move to Aries is visible about 80 years later. And most of us don’t live long enough to witness and understand the impact of the first and the results in the second move to Aries. That is it. Or am I accelerating? Few of us will experience a Uranus return. Some of us will experience a progressed Uranus return (when the retrograding Uranus goes direct in the first 2 or 3 months after birth). Transit Uranus opposition with Uranus is more frequent. I had it in a hectic month and year that changed my prospects. Sort of a midlife crisis, an wake-up call and bit of alarming change, but kicking! Or should I say: accelerating? The official indepence dates were years later. The British troops didn't immediately leave Iraq, for example. And the 'independence' date of Saudi Arabia is the date of the Treaty of Jeddah (permitting indepence to the King for part of the country). The official natal charts have other data. Mercury ‘ calling’ can be very helpful in sales. It is also perfect for a writer. The words won't fail you! Mercury ‘ calling’ is a prominent Mercury and one of the astrological tools for succes in communications. Mercury ' calling' is about communicating,somehow, anyhow. Mercury calling is to be preferred over Mercury-Uranus afflictions (that is when you keep joking or saying the wrong, offending or shocking things in the wrong context and in the wrong place, like Berlusconi does, or when nobody understands your irony). Nevertheless, Mercury can call you to be the messenger whose head is chopped off. That is when you say what nobody wants to hear, just like with a Mercury-Uranus affliction. If your Mercury is ‘ calling’, don’t answer until you counted to 10 and write things down, read it, think it over and decide wether or not to tell the world about it. Just hum or whistle if you have to make noise:). And when you do the talking, say political correct and social things. It will be hard, but when your chart shows hard times it might be better to fight your first impulse and consider more profitable ways to use your talents (writing, singing or selling:)... Sounds easy, but try to repeat this whit your mouth shut!!@$! This is about the natal chart of Oriana Fallaci, a very controversial – Sun square Uranus - journalist and author (Sagittarius MC and Mercury final dispositor of Midheaven) who died in 2006. See Wiki about her life. The hour of birth was mentioned on Luigi Stocchi’s site here… Scroll down for the drawing of that chart (with transits and progressions for the day that she died). It is said that she was born on a June 29, in 1929. Some sources mention June 24. I think that the chart below might be the correct one. The prominence of Mercury,Jupiter and Pluto is reflecting the famous author. The opposition of Saturn in Sagittarius and Vesta showed that her 'most cherished beliefs ....in opposition to cultural traditions and authorities' (quoting Members.wizzard.net). Instinctively I added Vesta as an additional object in the chart drawing and see: Vesta is opposition Midheaven (on the IC). Vesta is the symbol of the keeper of the domestic fire and of dedication. This dedication goes together with the symbol of 'background and home' (the IC). 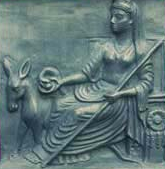 The Romans related Vesta to Capricorn. Mercury, Jupiter and Pluto are the combination of a ' treasure of words'. This combination is prominent in the chart of Fallaci. 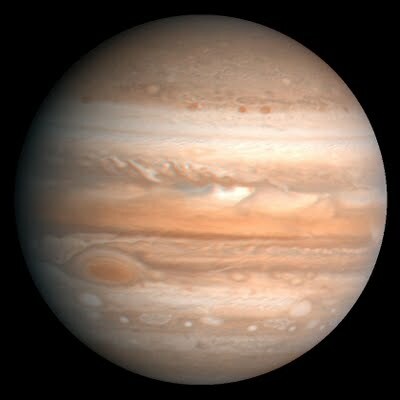 Jupiter, ruler of the MC, is the oriental planet (that is the first outer planet rising before the Sun). Jupiter’s keyword is ‘ international’. She lived in New York and in Tuscany and interviewed VIPs all over the world form Kissinger to Khomeini and Sean Connery, too. Transportation (the axis of Mercury-Jupiter) was important and so was convincing others (also Mercury-Jupiter). When Pluto calls you can’t resist power, influence and politics. "Hypocrite? Maybe, but then Michael Jackson, Madonna and Prince are too. You have a great sense for justice, and religion or conviction might play a heavy role in your life." Translation:): you have a great sence of justice. Religion and/or conviction might play a big part in your life. And that is in line with the importance of religion for her position and status in the years after 9-11. She was agnostic, but she spoke with the Pope and with Khomeini and she wrote a lot about Islam, as a professional (Saturn is on Midheaven) but with a sort of a dedication that makes it an issue of greater personal importance. There is an opposition between Saturn and Vesta on the Meridian, perhaps showing a (public or professional) polarity. When WWII started, the progressed Sun of Fallaci was conjunct Pluto (her ‘calling’ planet) and that is a sign for stress and challenges. It is also a sign of vital change (and being impressed, a period with great impact). Her chart is pretty clear about it: she used a lot of words in her job and her position and the reputation is strongly related to the Sagittarian field of convictions and opinions. HOW ABOUT YOU AND VESTA? When Vesta is prominent in your (progressed) chart (f.ex. because of angular or oriental placement, or because Vesta is ‘ calling’ – without major aspects-), the word ‘dedication’ is your keyword. You ‘ go for it’ when you belief in it. Vesta also indicated what not to do in order to ‘ recharge’ and in order to avoid 'getting drained'. In the chart of Oriana Fallaci that is ‘ writing, speaking’ …her job! But the third house is also the house of the lungs (she was a heavy smoker). When your progressed Sun or Midheaven is in aspect with Vesta, you might get dedicated to a project or commit yourself to something that might drain you, if you are not careful enough. See Bob Marks about Vesta. Click the label to see more examples on this blog. 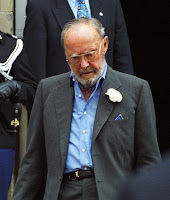 When Prince Bernhard of Lippe Biesterfeld met his later spouse, the Dutch Crown Princess Juliana, transit Jupiter, ruler of his 7th house of marriage and relationships, was conjunct (=on) his Descendant, the starting point of the 7th house. It was a perfect astrological moment. Also his progressed Sun was about to change sign, like his lifestyle was…Progressed Midheaven trine the Sun promised a bright future. It was time for a life changing relationship. You see his chart, transits and progressions for the early months of 1936 here. Prince Bernhard was 'notorious' for various reasons. Accusations like ‘ Nazi-Prince’, the Lockheed affair (a scandal about getting money for using influence) and facts about his affairs make an astrologer think of Uranus. And indeed, Uranus is ‘calling’! in the house of values, sexuality and ‘life and death’. He survived accidents and surgery like a cat with seven lives! Maybe Sun trine Jupiter and half semi square Uranus helped him get old in spite of all the adventures. He never divorced but he and his wife stopped sharing the bedroom in the 50ies. He had Mercury ruler 1 trine Jupiter ruler 7 and Venus trine Mars. But Venus was also square Saturn, semi sextile Neptune. Also there is a Moon square Saturn and half semi square Neptune. Those are 3 out of 4 aspects that use to lessen the possibility of long lasting marriage in the chart of males. But this guy married a Taurus Princess and divorce was not good for the country (they thought), so they sticked together. The match? This explains why they didn’t live together but remained married. It is one of those contradictions reflecting real life events. BTW His Saturn was square her Midheaven (he limited her status in the Greet Hofmans affair, the scandal of the Queen getting too involved with a healer who claimed to be able to cure her daughters’ eye ailment with prairs). And think of this: Leo is a royal sign (the lion is the king of animals:). Bernhard had Moon and Venus in Leo. His fortunate marriage was important for his status. The ‘ calling’ Juno (symbol of marriage) is trine Midheaven. Jos Wijnants, age 108, died. He was born in Antwerp March 27, 1902 with the right genes (Ceres, symbol of genes and seeds, is 'calling' in his chart): his grandfather died at age 92. But, what is in the chart of his day of birth that contributes to the astrological picture of a chance to get older than most people do? Here are some of the indications, limited by the unknown hour of birth. 1. There are more placements in fire and air than there are in earth and water. On Astromarkt I wrote about the effect of this, click HERE for more. 3. Sun sextiel Jupiter and in a minor (105 degree) aspect with Uranus creates a Sun/Jupiter/Uranus combination that is often reflecting the prolongation of life. 4. Saturn, symbol of old age, is not making any Ptolemeic aspect. Saturn is 'calling'! It is like if 'getting old' was his vocation. When 'Saturn is calling' you don't like taking risks. 6. No inconjunctions at all! Inconjunctions in the radix often mirror ailments or other fysical/mental problems from the start. In order to get old, it is better not to see them in the chart. Those indication and the mix of them, together with helpfull genes, contributed to reaching the age of 108 (wanted or not). Of course, the individual chart with hour of birth might offer more info (like angular placements, the Sun/Moon and AC/MC midpoint, the Ascendant, etc.). When you are born healthy, with a positive and strong character, you have a better chance of getting old. This chance is transtlated into astrological terms as 'movable signs', positive signs (fire and air signs) and balance (no signs of no balance, like inconjunctions). Earth signs and a strong Saturn help to be 'earth bound', cautious and 'sober'. This is the basic packet for getting old. But: there are always exceptions (just like with statistics)! See the labels for more examples! The (lesbian) PM of Iceland got married and that is news. There is post in this blog Astropost: about the astrology chart of PM Johanna Sigurdardottir. Interesting besides: transit Saturn moved over her natal Venus and will be back again soon. She has been officialy living with her partner since 2002 and now (now that the law agrees) their partnership is a lawful wedding. Saturn is the symbol of what is lasting , public and official, Venus is for love. Basic changes are needed for macrobiotic actrice Gwyneth Paltrow, who had bad results in a Vitamine D-test. That is what she told the world (on her website). More sunshine (or meat, butter and milk) might be required (or more pills of course☺) . This post is about what in her chart shows the vitamine defecit or the fanatic diet and weakness of the bones. Perhaps there is a genetic disorder for Vitamine D, too? Maybe it is in the family genes (Moon and Ceres are involved). Anyway: the inconjunction between Pholus and Pluto drew my attention, because of an earlier post. And so did today's transits of Pholus and Pluto. The AC/MC midpoint =Moon and the hard transit coming from Pholus on that crucial midpoint is showing that it is time for a change in habits. Pholus (the turning point) is prominent (angular placement, on the Ascendant) in the natal chart and so will this transit be. The Moon is related to Ceres and Saturn and that includes: nutrition (Ceres) and bones (Saturn). Pholus is inconjunct Pluto in the natal chart. I have just posted about the extraordinary event on Wimbledon, exhausting the players and causing a ‘ crippled’ victory. Third: the importance of the angular Moon and Saturn. The Moon is trine Ceres. Saturn is 112.5 degrees (square+half semi square) Ceres. This Moon, Saturn, Ceres and Midheaven combination could be read as: the disadvantages (Saturn) of a habitual (Moon) diet (Ceres) for the condition (MC) and the lack (Saturn) of what is needed (Moon) in nutrition (Ceres) related to the condition (MC) or a condition (MC) related to bad (Saturn) food (Ceres) habits (Moon). You can read this in various manners, but the result for the condition remains the same. Sun conjunct Pluto (rising before the Sun) tends to be fanatic and the Sun rules the 6th house of diets and daily patterns. (The symbol of patterns is Pallas and she is in Virgo, the sign of diet. Pallas is close to the horizon.) For those with a Sun-Pluto aspect in the natal chart, progressions and transits between Sun and Pluto have a strong effect. Transit Pluto is now square her natal Sun. This transit issues cases of life and death and is very stressful and challenging often. It is one of the life changing transits that you can find in another post (link here…). Bonestructures are related to Saturn and Capricorn. Transit Saturn’s conjunct natal Mars shows that the issue of death ends and lack of energy. Quaoar, the creator of new realities, is opposition natal Saturn. The question is: structural change! Gwyneth Paltrow is a celebrated actrice. The importance of the Moon – ruler of the 5th house of plays and games, in hard aspect with AC/MC, still in orb for quintile Venus and the position of ruler 1 Neptune on top of this chart in a wide opposition with Moon (both in aspect with the Ascendant) shows the pattern of artistic talents. Jupiter and Pluto (the combination of successes) are in aspect with Sun and Mars. The Sun is also involved in a combination with Jupiter and Neptune (for the fans, and the believing and admiring audience). More posts about the pattern of artistic talent on Art&Astrology. Re: the historic extreme long fight between Nicolas Mahut and John Isner yesterday I had a look at the synastry between their natal positions. The game caused exhaustion, on both sides. Mahut lost (Pluto of Isner inconjunct his Pholus) but (inconjunctions carry a ‘ but’ always…) at a certain price (Pluto). 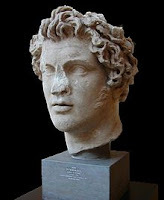 That is how I found a new word for the Pholus vocabulary*) (shooting your own foot, catalyst, turning point) and that is the Pyrrhic victory…a victory that comes at a crippling (sic!...Pholus and the foot...) cost. The inconjunction contributes to the lack of balance and extraordinary challenge.See the label to find examples of the effect of inconjunctions with Pluto. In this case: Pholus inconjunct Pluto ...the Pyrrhic victory. A drugs cartel leader with the apposite last name ‘ Coke’ has been arrested and transferred from Jamaica to the USA. About 70 persons died since the warrent. He was born on March 12, 1969 just like Graham Coxon (guitar player, Blur), Beyazit Ozturk (showmaster) and had Silver (ice hockey player). What in the position of March 12, 1969 applies to a leading drugs dealer AND to artists or hockey players? Personal charts with hour of birth inform us about angular (crucial!) positions and the exact degree of the Moon, Ascendant and Midheaven. Aspects between Sun and planets are equal for all those born on the same day. The effect of the qualities that the aspects are representing is different for men and women, animals and human beings and are coloured by genes, situations, history, social positions and culture. The father of Christopher Coke died in jail, shot by unknown persons. So crime was in the family (either in the genes or in the social/economic situation). Neptune is the symbol of drugs. So I guess that Neptune is of importance in the chart of mr. Coke. In the guess chart I placed Neptune on his Ascendant. Neptune then rules the 4th house of family background and sits on the AC (situation, names and nick names). In this guess chart Mercury (traffic) is on the IC. Yes, it would be nice for astrology if mr. Coke was born at 23 hours☺. Because today transit Neptune is square his Neptune and the guess Ascendant, symbolizing the negative personal situation and giving up (surrender). Last year the USA asked for the extradition of Coke. That was with progressed Sun inconjunct Uranus (a change in life including a lost of freedom and independence). Now that he is being transferred to a jail in the States, transit Jupiter is opposition the conjunction of Jupiter and Uranus in his natal chart. Jupiter is conjunct Uranus today, like in his natal chart, but in the opposite sign (and inconjunct the estimated Midheaven of this chart). The Jupiter-Uranus conjunction is opposite Chiron in Aries and the transits of Jupiter and Uranus today are conjunct Chiron in Aries. Coke wanted to surrender because of the number of victims related to the attempts to arrest him and asked Reverend Al Miller to accompany him doing so. Jupiter-Uranus is the combination of relief. The opposition points at the relief for others or on behalf of others. That would also be in line with Neptune. Neptune is also the symbol of heroism and idols. Coke was dressed up as a woman (they say) and disguise is part of the Neptunic vocabulary, too. That is why I think that Neptune is important for Coke. Also Transit Saturn is inconjunct progressed Pholus (negative turning point in a career) and this summer transit Saturn will be opposition his natal Uranus (mirroring limits of freedom). And if this guess chart is true, transit Jupiter inconjunct Midheaven and quindecile progressed Midheaven shows the ‘ international’ aspect of it all, included the losts, the lack of balance and the never desired move to another country. Jupiter would be in the 9th house in the progressed chart, joined by Uranus and Pluto (the combination for a sudden change or arrest). Interesting besides: the progressed Sun is biquintile the progressed Jupiter now, reflecting a creative way to make life better or being helped in a creative way. I wonder in what way? Perhaps in the way that he was arrested (dressed up, helped by a vicar?). How about the showmaster, the guitar player or the ice hockey man born on the same day? Notice that the Moon is the oriental object in this chart, rising before the Sun and Mercury. The Moon doesn’t make major aspects. That makes the symbol of education, early environment and family influences the most important symbol in this chart. Your genes and social/economical circumstances are most important and should be considered while reading any chart. But when Ceres and/or the Moon are prominent, these considerations are of extreme importance. Like in this chart. Marcello Lippi’s team (Italy) lost and he immediately retired. What transits and progressions of the chart (no hour of birth) support this event? That is one of many signs of changing times and lifestyles. The progression with Uranus often reflects sudden changes, incidents or upheavel (nerves). Transit Uranus is also inconjunct the ruler of the 7th house (Jupiter). That sounds like ‘ a relief and positive change, however, but….’ There might be considerations. There is one happy progression: progressed Venus at Zero Aries is in aspect with Jupiter, but…it is an inconjunction. So there is a party, but it might be a bit overdone? Albert is one of the most desirable ‘royal bachelors’ . Maybe that is why Juno, the symbol of marriage, is conjunct his Ascendant. It didn’t help him to get married, but he has two children with two former lovers. He has acknowledges that he is the father of these children, but they will not the next Prince or Princess of Monaco. His Saturn in the 7th house, on the Descendant seems to be the living proof of the astrological idea of restrictions, barriers and AGE related to marriage. Moreover: his Venus is semi square Saturn! A little married and more...Saturn and Pluto in Libra' re: the book about the trend not to marry (but live together). The effect of Saturn in Libra and Saturn in the 7th are often similar (when related to the 7th house or Venus). There is a strong Sun-Neptune connection between them. Happy and pleasant wedding parties benefit from a Venus-Jupiter aspect by transit or progression. Venus-Jupiter is one of the most pleasant combinations of planets, because it multiplies (Jupiter) fun (Venus) and joy (Venus). Even in bad times, Venus-Jupiter helps because you feel the love and support of many. As you can see on the right, Jupiter is today in the 2nd degree of Aries. People with Venus there, or in any other 2nd degree might enjoy this transit. Venus is now (June 23, 2010) in the 11th degree of Leo. Click the label ' Venus Jupiter' to see some eamples of the effect of Venus-Jupiter. General Stanley McChrystal was born on August 14, 1954 (no place and no time known). He was not very nice about President Obama (said he was not impressed) and pretended not to know who Vice President Biden is. Apperently the general is not a fan. Now he has to face the President. See the story on CNN... Why do I mention this? To show you how the transits and progressions seem to indicate the perfect timing of this incident...There are 4 heavy transits and progressions indicating restrictions and upheavel. And the strong role for Mercury-Pholus in transit and synastry shows how the President and the general communicated and got hurt. And that is without hour or place of birth, so maybe there is even more. When Mercury 'calls' this sometimes leads to talking too much, at any possible level. It is a good tool to use in communications, too. A 'calling' Mercury just needs a little control. There is a strong interaction between Mercury and Pholus in Obama-McChrystal's synastry.There is also an active transit. Transit: Transit Pholus was trine the calling Mercury of McChrystal and offered an opportunity for a mental turning point or: for shooting your own foot just by communicating like you do. Synastry with Obama: The general's Mercury is opposition the Pholus of Obama, by the way, and vice versa! Maybe that explains why the words of the general hurt so much and why the general will now be hurt by the anger of Obama. Here is the chart of President Obama and the positions on August 14, 1954. Another Pholus aspect is Saturn-Pholus in the general's natal chart, reflecting the risk of a turning point in career. See the label 'Pholus' for more. It takes 3 or more indications for serious (happy and unhappy) incidents like being fired, getting involved in accidents or falling deeply in love. Transits and progressions making aspects similar to those in the natal chart or with prominent planets of the natal chart have a stronger effect. Also born on August 14,1954: Mark Fidrych, famous baseball player. He died April 13, 2009 due to an accident. - transit Jupiter is sextile the natal ('calling'!) Pholus. 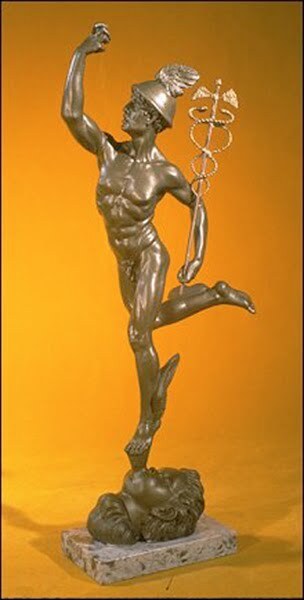 I tend to see Pholus (shoot, foot) as a symbol of football. Jupiter sextile Pholus than means: succesfull or international (Jupiter!) football. It is hard to believe, but a nice aspect with Jupiter sometimes means ... nothing special. I mean: you can't count on an effect. See the posts about Jupiter and Jupiter in the 12th house about this and don't expect too much. If you don't your chances of feeling great will grow, even without promotion, success, travelling or 'being published'. Jupiter sometimes means being helped by a good advice or doctor, meeting a coach or counting your blessings...(especially when Jupiter is in the 12th house of the natal chart or by transit). And that is what happened now and the target was the position (MC) as a coach (wise man leading the team: Jupiter) of Domenech. Notice that Anelka lost the confrontation...He was sent away. Mars-Saturn conflicts often eventually hurt yourself. And Jupiter is ...well, Jupiter is why Domenech is able to be tolerant. He already won. With an oriental Mars (that is when Mars rises before the Sun*) your orientation is on what Mars means: action, sport, aggression, militarism and drive. Hard aspects with Mars hurt (you or others).So when Mars is important (like when Mars is oriental), your first idea is to DO something (to hit, hurt or start up something). Anelka's prominent Mars is helpful in sports, but might damage or hurt sometimes, too. The oriental Mars is found in the charts of 'tough' women, soldiers and sports men or entrepeneurs and everywhere where the action is. *) You find the planet rising before the Sun, by moving your finger clockwwise from the position of the Sun. The Ascendant (moving anti-clockwise) will reach Mars just before the Sun comes up (again), when Mars is the planet rising before the Sun. See the post on Astrology & Love about Victoria and Daniel, a good astrological match, getting married Saturday, June 19, 2010. Uri Geller offered Joran van der Sloot money for a ticket to Aruba, just before Joran van der Sloot was arrested. The idea was to hypnotize the man in order to find out the truth about what happened to Natalee Holloway. Geller says that he absolutely didn’t pay more than that and about 600 dollar for expenses. There is a link to his statement in this post. - Venus-Pluto of Joran van der Sloot is exactly conjunct the Midheaven of Uri Geller. - Uri Geller’s Pluto is exactly conjunct the Sun of Joran. Café Astrology uses the word ‘mesmerizing’ for the Sun-Pluto combination in synastry. (Mesmer is the man who first used a sort of hypnotism). I think that is fascinating! (another word in the Pluto-vocabulary). A few months back a Dutch magician had a program about Uri Geller’s tricks, revealing and explaining them. His Pluto is exactly square Uri Geller’s Sun. The Sun-Pluto interaction between charts is always challenging and intense. Often it is about values, authority, issues of life and death or influence. And sometimes there is a drama –or plain jealousy - connecting the lives of both of you. Uri Geller was born December 20, 1946 in Tel Avic at about 2 a.m. He is the famous 'spoon-bender'. In his chart (above) Jupiter is the planet orientation (symbol of the international). Uranus is ‘calling’ (no major aspects in sign or orb 5 degrees). The prominence*) of Jupiter and Uranus promises successful use of techniques and being resourcefull. Please use the labels for more examples of the mentioned aspects. *)Angular planets, planets or the Moon rising before the Sun, planets without major aspects in sign (and orb 5 degrees) are prominent planets. Yes, this interaction between the natal chart positions shows distance, disturbance, hot temper and humilation. And that is exactly what Okada says: he thinks that Van Marwijk humilated him. This post is about Paul Gascoigne's natal positions, transits and progressions during the accident of June 13, about accidents in general and about the daily motion of the Sun (the solar transits). Some days are just more 'risky' than other days are. Transit Sun in hard aspect with Uranus is one of those days. Gascoigne had T Sun square Progressed Uranus on July 13. There is no hour of birth for Gascoigne's chart. The observations ar just observations of the positions for Gascoigne and time twins. They are not the complete astrological picture, because there is no known Ascendant (symbol of the situation) or Midheaven (symbol of the conditions). The Ascendant is very important in cases of accidents. A Jupiter/Uranus combination adds relief to every situation (in whatever way).
. On the day of the accident the transit Sun was exactly inconjunct Progressed Neptune and square progressed Uranus. The combination of Uranus and Neptune often indicates lost of consciousness (fainting). It takes more than 3 indications at the time to reflect serious incidents and accidents. Almost always the Ascendant, Mars and Uranus are part of the picture. I noticed that Saturn-Pluto-Ascendant midpoint combinations are related to the traffic accidents described in the famous book of C.E.O. Carter. See the label 'accidents' for more info or go to Astromarkt. Transits of the Sun with Uranus happen a few times each year, reflecting 'those kind of days'. They usually don't point at a serious accident, unless there are 3 or more serious indications in the chart and in the transits and progressions. More about the daily motion of the Sun on Astromarkt (link). Re: the news about the four year ban instead of life for Bernard Kohl, who quit cycling anyway, here are the links to the posts about his case and the Sun-Jupiter connection with doping news. The judgement and ' conviction' come with transit Neptune semi square his natal Sun and that means disappointment. Four years is a long time when you are 28. AND HOW ABOUT YOU? And what has orange got to do with it? Sun-Jupiter aspects in the natal chart are reflecting the will to succeed and enthousiasm. But what if you want to succeed and everybody else wants it, too? That is where it might become easy to help (Jupiter) yourself (Sun) to be better than the rest. The nice thing about Sun-Jupiter is that you allow yourself and others to have some space. The bad thing about Sun-Jupiter is that you allow yourself (or others) a bit too much. And there you go. Easy aspects with Jupiter make it easy for Jupiter. With hard aspects with Jupiter it is harder and it takes more effort to succeed. Landis, Beltran and Marion Jones have the opposition between Sun and Jupiter. Oppositions are like question marks: can I succeed by myself? That is the question in question. See http://www.cafeastrology.com/natal/sunoppositionjupiter.html about the risk of dubious moral with Sun-Jupiter opposition. It is also hard to live up to your means with Sun-Jupiter (maybe because you think that you deserve it?:). No kidding: it depends on your moral and level of ambition if you want to win using drugs or not. And people like you and me don’t often get the advice to use some doping, not even with a Sun-Jupiter aspect in the birth chart. Neither do those with a Sun-Jupiter aspect have something to do with the colour orange (like the members of the Dutch royal family 'Van Oranje'; most of them have a Sun-Jupiter aspect!). I have a quintile between Sun and Jupiter and my sites are always orange for some reason:) And for some reason I like to end this post in a positive way...So if YOU are a Sun-Jupiter: stay positive, keep learning and traveling and stay tuned. See the label Sun Jupiter or use the links above. JÉROME KERVIEL AND NICK LEESON:Same issue, same birth charts? Jerome Kerviel is on trial now. Here is the post about his chart and the comparisson with fellow gambler Nick Leeson, written in January 2008: Astropost: JÉROME KERVIEL AND NICK LEESON:Same issue, same birth charts?. Both have important Saturns and Jupiter-Neptune had a key role in the events. Both speculated with millions (of others) and damaged the bank. Then you are probably someone who is ambitious or trying to do what his parents wanted you to. With an important Saturn you choose classical studies and decent jobs, for example, or you choose to do your job as a clerk, with the elderly or with a long way to go to the top. Saturn is the symbol of construction works, business and administrations. More about Jupiter-Neptune? See the labels. Problemous news is making Obama’s life hectic, even if he didn’t cause the problem, like now with the Gulf oil disaster. Uranus is the symbol of news, the opposition is related to ‘ the others’ and the progressed Sun refers to life in progress. The transits and progressions show the problem: someone else caused an accident/incident and now he is nervous. Transit Uranus has been opposition Obama’s progressed Sun in March.Transit Saturn will be conjunct his progressed Sun again in July. Then Transit Uranus comes back mid August and starting March of 2011. And if that is not enough, Neptune will be mirroring trouble from then on till after next elections. Transit Neptune inconjunct Progressed Sun: that is the transit that won’t stop damaging the image of Barack Obama until February 2013. Again and again Neptune will catch up with the Progressed Sun or vice versa. The transit will start its ‘activities’ in March 2011, reflecting the ‘ fallen angel’ (and bad press). I have another one: it won't be easy to live up to the expectations (his and those of his fans and followers). If your (progressed) Sun is in the 29th degree of Cancer or Virgo your (progressed or natal) Sun is inconjunct Neptune in June and July of this year 2010. In 2011 the transit comes back in January/February, and in the last four months. If you were born with Sun sesquisquare Neptune your progressed Sun will be inconjunct Neptune within 15 years. If you were born with Sun opposition Neptune your progressed Sun will be inconjunct Neptune within 30 years. With Sun tightly square Neptune in the natal chart, it will take about 60 years for the Sun to be semi sextile or inconjunct Neptune. Your natal Sun is in the 29th degree of Cancer for those born around the 21st of July and in the 29th of Virgo for those born around the 21ste of September. Your progressed Sun is in the 29th degree of Virgo if you are 20 and born on September 1, for example. Just calculate your chart and progressions on Astro.com. There is a difference in situation and condition that shows up with inconjunct Neptune, but you will always experience that your weaknesses show in a disproportionate way. If you are old, your health situation might suffer. If you were dating, you may experience disappointment after disappointment without understanding why: you are just overly negative and that shows…If you were an idol before, your weaknesses show and your admirers know. If you were not an idol, you might become one, suddenly, and be lost in the world of the media. Sun inconjunct Neptune shows that there is little proportion in his relationship with the media and in beliefs of all kinds (yours and others). Also, your lifestyle might not be in balance with his ideals or vice versa. You even might loose contact with reality (but only in extreme cases of course!). In other words: with Sun inconjunct Neptune you have to get real and give up some of your beliefs and ideals. For some of us that is reason for loosing grip. Others might find a new balance between real life and glorious dreams. Is there anything good about Sun inconjunct Neptune? Yep. You may be negative and face disillusions about the real world, but you might also see that in order to realize a dream or live life the romantic/idealistic/artistic way you have to give up part of yourself and take care not to loose your you and your self image. It is difficult but essential to keep up the spirit and to believe in yourself (but facing reality, too). That is how I see it. And this aspect is of course more important when your Neptune is important, like in the chart of Obama, whose Neptune is on top and square natal Sun (and inconjunct the Sun of JFK, BTW). BTW: Russell Crowe has natal Sun inconjunct Neptune, too. improve, while there is a tendency to 'demystification' . The transit Sun is inconjunct Daniel Agger’s Saturn and that is a bad sign for just one day. Transit Quaoar is conjunct his Sun: creating a new realitiy in life (it is a period of chances). Watch the progressed Sun conjunct Jupiter. Maybe better next time? I hope that the next match doesn't finisch at the same hour, because as you see in the chart below, the Ascendant of the final moment is exactly at Mars/Saturn, a deadly moment of lost. I found the presentation of a chart with hour of birth for the young soccer (football) player Lionel Messi on this site Astrologia Diana Rosa: using Google in Spanish. It is 20:20. I don’t know the source of this hour. Is it coincidence that Spica is on Midheaven, promising wealth and fame or is this a ‘ guess chart’ or ‘ corrected chart’? If that is so, it was a good one, because the positions correspond with what you’d expect, like the Ascendant semi square Saturn (and think of his nick name ' La Pulga', because of being small and fast. Saturn is the symbol of limitations and concentrations (and of small things). So, here are some of my observations for this chart. Ruler 1 Uranus is in Sagittarius and the angular Jupiter is trine ruler 1 Uranus: double statement for inventive techniques and positive changes in his life because of a helicopter view. These changes, this sudden windfall, is happening now. But this is not the first or the last time that Jupiter and Uranus marked important periods in his career. When he had his debute in the first team of FC Barcelona, transit Neptune would be square progressed Midheaven and Progressed Midheaven would be semi square Uranus (ruler 1) and quindecile Jupiter. Interesting, this repeating pattern of Jupiter and Uranus…Together with Mars, Jupiter and Uranus are in tight aspect with Midheaven in the natal chart, too. The first chart in this post is the debute chart (natal, transits and progressions). The angular Jupiter is connected with the Sun by a sesquisemisquare (67.5 degrees). On July 5, 2010 transit Jupiter will be square natal Sun. That is another good sign for success. Pluto is on top of this chart. Transit Pluto was opposition natal Sun in the last months of 2009, when he won three important cups. Winning also meant stress and a body being ‘ exploited’ and challenged, of course together with a strong will to win and impress. He impressed, but forced to much of himself. That is why he is tired. He is a top scorer with 34 goals in 2009/2010! Later this summer, in August, there will be another combination of Saturn and Pluto followed by Jupiter and Uranus. But first: the WC! Use the labels under this post for more about football, the Jupiter Uranus combination or the combination of Saturn and Pluto in Sports. Stephany Flores met Joran van der Sloot on a bad day. Joran van der Sloot had transit Pluto square Mars. Stephany Flores' progressed Mars was inconjunct Pluto. That is reflecting the danger of having to defend yourself and a violent act with a risk of a lost). That is exactly the same interaction as with Natalee Holloway (see below)*)...Mars-Pluto is a difficult and sometimes violent aspect combination. And that is sometimes an understatement, apparently. There is more, of course, not just in their charts (and we don't know the hours of birth) but also in situation (reflected by the Ascendant) and position (MC). There is (luckily) not much chance to meet a killer and not all women born on Stephany's birthday ended their lives in a hotel room last May. Stephany met the wrong kind of guy on a bad day at the wrong spot. Many thanks to the person who mailed the birthday of Stephany Flores! Here are the positions for Stephany Flores birthday, transits and progressions and for Joran van der Sloot and Stephany (his natal guess chart -hour of birth is unknown- and the positions in transit for her day of birth). When she disappeared Natalee had transit Mars semi square Mars and sesquisquare Pluto, activating the dangerous Mars-Pluto connection in her natal chart. Joran had T Pluto conjunct Uranus that day and sesquisquare Venus. He also had T Mars sesquisquare Pluto.